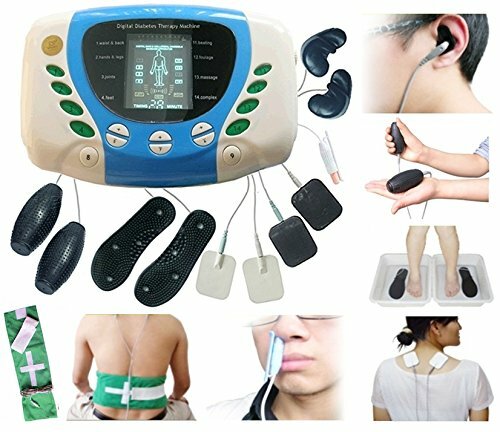 Multifunction Digital Therapy Machine * Fully Automatic Treatment at Home * Triple Effect - The apparatus has three channels for the better therapeutic effect. Usage: 30-45 minutes per time, 2-3 times daily. This powerful therapy machine can be used to treat many other indications. Auto-selection of acupuncture points on the ear, hand, foot and SPA. The only action he or she needs to take is the adjustment of the intensity of the electrical impulse according to his or her tolerance * No experience in acupuncture is required to use this amazing new machine.